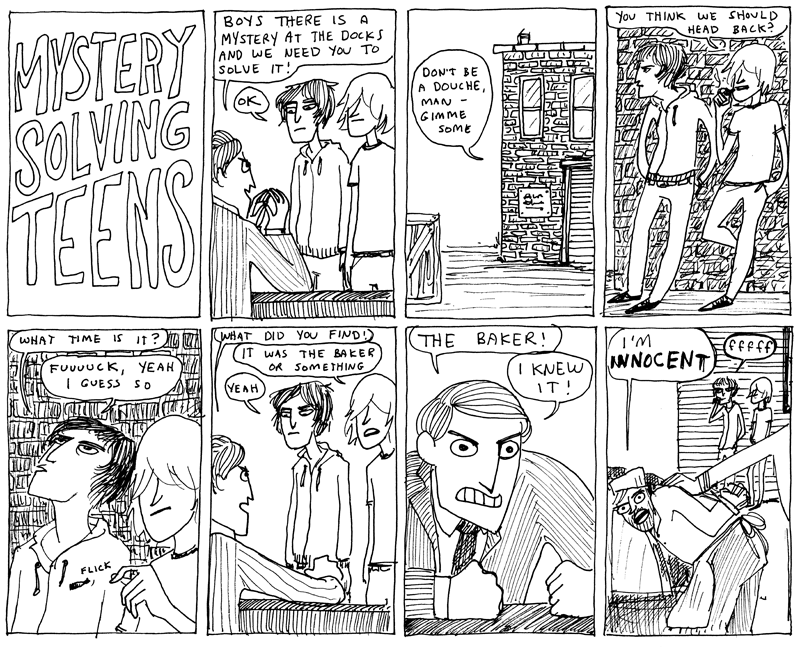 Kate Beaton draws the funniest facial expressions, maybe ever. How to get a free drink on a flight. You say \”tomato\”, I say \”in-flight magic\”. In real life I don’t drink tomato juice or tomato-based cocktails, but on airplanes for some reason the idea of a technicolour and salty drink in a tiny cup is enticing. 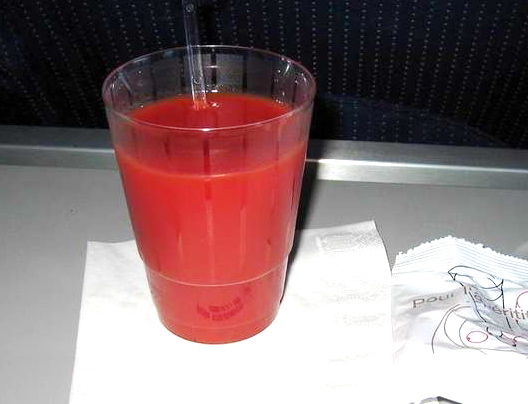 Here’s how to score a free tomato-based cocktail on a flight, as I did on my way home from LA. 1. First, forget what your drink of choice is called. This helps erase any doubt in the flight attendant’s mind that you might not be a total idiot. You are, and you can prove it when you ask for a Tomato Screwdriver, a Bleeding Maria, or a Clamaitor. 4. Turn back to your laptop. 5. Put your earplug back in. Ignore everybody. 6. After an uncomfortable pause, the flight attendant will helplessly gesture to the nice lady beside you who will poke you so you remove your earplug again, all innocent confusion. 7. “Six dollars, ma’am,” the flight attendant will say. 8. “OH! A TRANSACTION! HA HA HA!! YES, I DO! !” will be your inexplicable reply, and then you should lean down, trying to wedge your huge head with its attendant cloud of unkempt curls under your table tray, the better to rummage around for your wallet. 9. Now this next step is the key to the whole operation: blithely knock your cup of ice onto your (thankfully closed) laptop, where it will slide around merrily like butter on a skillet before raining into your lap. 10. Dribble out a little more of your trademark good-natured and self-depricating laughter, (“HA HA! I HAVE SPILLED THE ICE ONTO MY LAPTOP AND LAP!!! OH NO!!! SO COLD!!!! ALSO WET!!! HA HA HAHA! !”, etc.) Intersperse this clever commentary with assorted yelping as the ice manouvres itself into the small hole you tore in the crotch of your jeans earlier today in a different but equally-amusing travel mishap. 11. Use the now-empty tiny cup to scoop the ice out of your crotchtal region (NB: the ice will certainly not fit back into the cup, although it was all neatly contained by the cup mere seconds before), then move to place the ice cup it on your laptop again. 12. The nice lady beside you will predict the repeating element of this particular pattern and offer to hold the cup to keep it off your laptop, or maybe to hold the laptop away from the carnage that is your obvious lack of coordination and good sense. 13. Let her hold the cup while you rummage for four minutes in your wallet and emerge with some crumpled ones and a fistful of quarters. 14. The flight attendant will by this point be praying for early retirement while handing you a fresh cup of ice because he and the nice lady coordinated the disposal of the old cup of ice, like kindly attendants in a home of some type. 18. Make a mental note to do just that as the other passengers subtly edge away from you. Moar! Here’s a funny story about that time I brought caramel-coated bacon to a Jewish dinner party. One million toothpicks and 34 years. A model of San Francisco, entirely made of toothpicks, that’s 7 feet wide, 9 feet tall. Awesome. These are awesome; lots more Sarah Haskins funny feminism here. This is a dark, odd collection of tiny plays about young women who are messing up in funny ways, intercut with 30-second modern dance pieces choreographed to celphone ringtones. I play Evangeline, whom I’ve nicknamed “the most overbearing person on the planet”. After the first readthrough they all said “OMG Nicole, you’re perfect for this part” and I wasn’t sure what to feel. 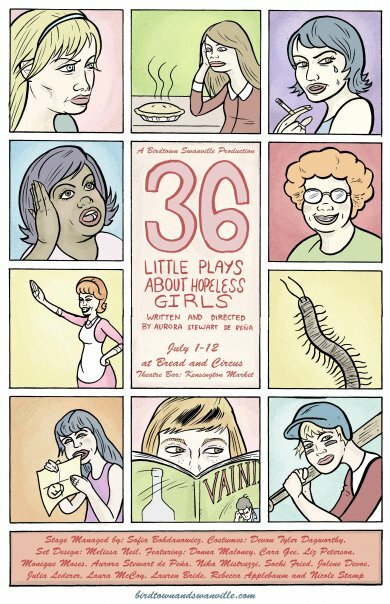 Runs July 1-12. 75 minutes long, with intermission. No latecomers! This one’s a musical comedy about a new-ish lesbian trying to convince her family that her Sapphic tendencies are more than just a phase. I play Tonya, a butchy carpenter in love with the lead ingenue, and I get to sing a fun Motown number. Luckily my vocal range is lezzo-soprano. 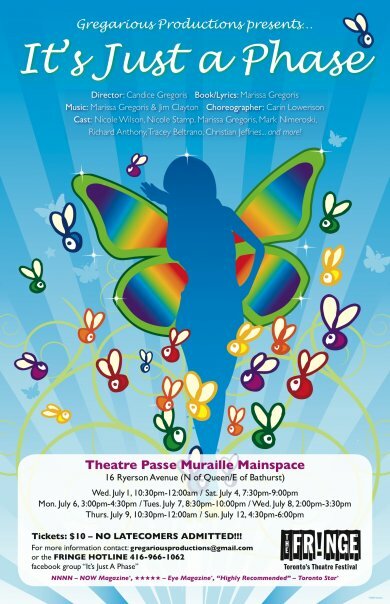 Runs July 1-12. 90 minutes long, no intermission. No latecomers! And let’s say you REALLY love me and you want to see both shows. There are several days you could comfortably see them both back-to-back. The venues are about 8 blocks apart and it’s enough time to walk and even get a popsicle! Check the online schedules for the deeeetails! You are currently browsing the pageslap blog archives for June, 2009.